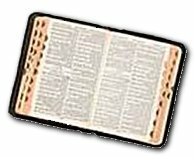 the different methods for studying the Scriptures. With this lesson you will begin a survey of the New Testament starting with the first four books in the New Testament, the Gospels. The New Testament's relationship to the Old Testament is that it continues the history of God's people and the story of His redeeming love. The Old Testament's themes, events, and prophecies are the basis upon which God constructs a new covenant with His people. They were the largest and most popular and influential group during the time of Jesus (cf.John 7:48). They were extremely accurate and precise in all matters pertaining to the Law, which they themselves interpreted and enforced. They followed not only the written Law (cf. Matthew 9;14; 23:15; Luke 11:39; 18:12) but also oral traditions that had been passed from generation to generation. They believed in resurrection after death. There was much that was sound in their creed, yet their system of religion was for show and nothing more. On the first notice of them in the New Testament (cf. Matthew 3:7), Jesus calls them a "generation of vipers". They were noted for their self-righteousness and their pride (cf. Matthew 9:11; Luke 7:39; 18:11; 18:12) and were frequently rebuked by Christ (cf. Matthew 12:39; 16:1-4). From the very beginning of Jesus' ministry, the Pharisees showed themselves bitter and persistent enemies of our Lord. They could not bear His doctrines, and they sought by every means to destroy His influence among the people. There were many Sadducees among the "elders" of the Sanhedrin [highest court of justice and the supreme council in ancient Jerusalem]. The first time they are mentioned in Scripture is in connection with John the Baptist's ministry (cf. Matthew 3:7). The next time they are spoken of, they are trying to tempt Jesus to show them a sign (cf. Matthew 16:1-4) or trying to trick Him with their questions about the resurrection (cf. Matthew 22:23-28; Mark 12:18-27; Luke 20:27-38). They did not believe in the resurrection or the existence of angels; and they were active in trying to prohibit the Apostles from preaching the resurrection of Christ. They were the deists or skeptics of that age. They do not appear as a separate sect after the destruction of Jerusalem. But he said to them, 'Not everyone can receive this saying, but only those to whom it is given. For there are eunuchs who have been so from birth, and there are eunuchs who have been made eunuchs by men, and there are eunuchs who have made themselves eunuchs for the sake of the kingdom of heaven. Let the one who is able to receive this receive it.'" These were a band of fanatical nationalists who refused to pay tribute to the Romans on the basis that this was a violation of the principle that God was the only King of Israel. They rebelled against the Romans, but were soon scattered, and became a lawless band of mere bandits. The sect name is mentioned once in the Gospels in Luke 6:15 and in Acts 1:13, both as a designation for the Apostle Simon the Zealot [not Simon Peter]. The word "Gospel" comes from Old English meaning good spell (as in "spell it out", meaning to explain in detail) or good news. The four Gospel books record the birth, life, ministry, teachings, miracles, death, and resurrection of Jesus Christ. died a torturous death by crucifixion . . . to pay for our sins. Do you understand that? We don't have to pay for the things we've done wrong, for the mistakes or the sins, for the lies, the gossip and slander, for wrong thoughts and desires, for jealousy or angry outbursts.... Jesus paid it all! Is there any greater news than that?! Well, yes . . . there is... These four men also recorded that on the third day following Jesus' execution, a dark, cold, borrowed tomb in Jerusalem was suddenly filled with light as Jesus' body breathed and moved and lived again! The Lord of Heaven, the Creator of all that exists, the One who said He had power to lay down His life and power to take it up again  did just that. Think about that. He took it up again...! Oh! What good news indeed! Somebody shout, "Praise the Lord!" We all see people and events differently from one another. Think about someone you know. To one person he's a neighbor; to another, a friend; to someone else, a husband or father; to others a co-worker. All of the people who know this man could write about him, but each would have a different perspective about him in their writing. The same is true about the Gospel writers. God inspired Matthew, Mark, Luke, and John to write the good news about Jesus and to accurately record the events of His life, but He allowed them to tell the story from their own viewpoints. Matthew wrote about Jesus, the King  the descendant of King David who would rule the world in righteousness. Being a tax collector before becoming a disciple, Matthew was used to working with official legal documents. So, in his Gospel record, he systematically presented the proof that Jesus was the King of whom the Old Testament prophets wrote. He quoted the prophecies and their fulfillment and traced Jesus' royal ancestry all the way back to Abraham. Matthew's Gospel account was primarily directed to the Jews. Mark wrote about the "suffering Servant" described in Old Testament prophecy (cf. Isaiah 53:3-12). Mark was a young man living in Jerusalem at the time of Jesus' ministry there. He was probably among the crowds who heard Jesus preach, saw His miracles, and saw Him crucified. Later Mark was closely associated with Peter (one of Jesus' disciples) and probably learned from him some of the details that he provided in his Gospel record. Mark was impressed with the King of glory who came to serve, to suffer, and to die for our sins. Mark's Gospel was primarily directed to the Romans. No genealogy is given since Jesus is portrayed as a "servant" and no one would be interested in the pedigree of a servant. Luke, a Greek physician, wrote about the Son of Man. He carefully investigated the reports about Jesus. He wrote two books (his Gospel and the Acts of the Apostles) to give a friend of his [Theophilus] an accurate record of the life of Jesus and the growth of the Church. Luke interviewed Mary [the mother of Jesus] and many others to learn the details about Jesus' miracles, birth, life, death, and resurrection. He checked on many of the healings that Jesus had performed and described what happened. Luke portrayed Jesus as the perfect representative of the human race and the remedy for the ills of all humankind. He traced Jesus' human genealogy through Mary all the way back to Adam, and he ends his Gospel with this perfect Man, Jesus, ascending back to Heaven to His Father. John wrote about the Son of God, the Savior of the world. He provided irrefutable proof of Jesus' Deity [divine nature and origin] and stressed the importance of believing in Him. His book is a record of the life of a Man whom he had known intimately for more than three years. John's purpose in writing was to prove something  to prove who Jesus is. His aim was to convince all who read his record that this Man, Jesus, is more than a man  He is God Incarnate, God in the flesh. And John declared in his Gospel that all who believe in Jesus as God's Son will receive eternal life. That's a great statement  almost too good to be true! But as we read in the Bible what other followers of Jesus wrote about Him, we see that they all agree. So, what they say about Jesus has to be true. Matthew and John were two of the twelve disciples who spent three years with Jesus during His ministry. They described the miracles they saw Him perform, recorded some of His teachings, and told what they observed personally of His death and resurrection. The writers of the rest of the New Testament  Peter, James, Jude, and Paul  were also well-qualified to write about Jesus. Peter had spent three years with Him as His disciple. James and Jude were Jesus' half-brothers who had come to believe in Him, apparently after His resurrection. Paul [formerly Saul of Tarsus] was a bitter enemy of Jesus and His followers, until he met Jesus in such a spectacular way that it changed his life completely. From then on, Paul spent his life telling others about Jesus.